The hotel is located about 5kms from the centre of Polokwane, Limpopo, South Africa and is adjacent to the Meropa Casino. This hotel in Polokwane, South Africa is basically a short drive from anywhere in this upcoming city including the conference centre, reptile and bird park and the African arts and crafts market. 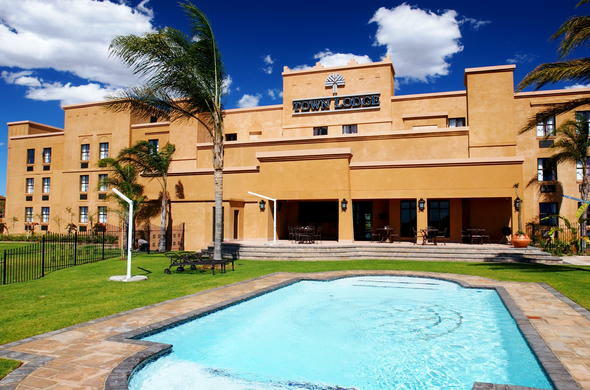 Town Lodge Polokwane can be found at Meropa Entertainment World in Roodepoort Road, Polokwane, Limpopo. It is about 300kms from Johannesburg in South Africa. From Gateway International Airport, follow the N1 Pretoria signage. Once you have joined the N1, travel from 5kms and take the Roodepoort Road exit. Follow the Meropa Casino signage. Your Polokwane hotel is located about 15kms from the airport.